* We will send it by Airmail. Can a house help us not to die? Artists/scientists/revolutionaries Madeline Gins and Shusaku Arakawa declared that our lives need not end, and created dwellings whose purpose is to reverse our destiny and defy death itself. 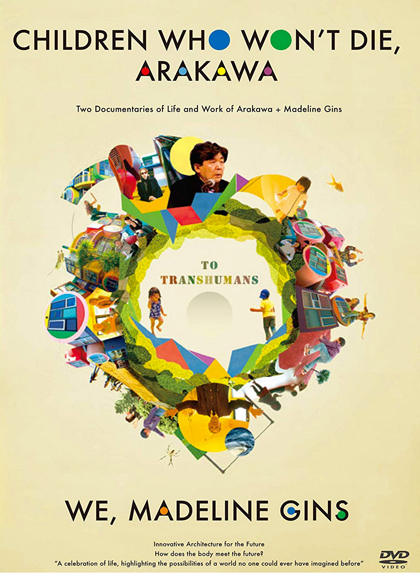 This film includes interviews with residents of the Reversible Destiny Lofts and an astrophysicist, as well as growth records of children who were raised in these remarkable buildings. Children Who Won’t Die proudly sings a celebration of life, highlighting the possibilities of a world no one could ever have imagined before. How does the body meet the future ? Madeline Gins – poet, architect, visionary – talks about the origin of creation, its secrets, and the future of humanity. This film documents a visit with her to her studio and to the Bioscleave House in East Hampton, NY – the only example in the USA of the revolutionary, death-defying architecture she developed with Shusaku Arakawa. 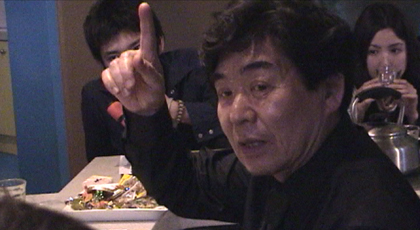 Gins describes her first encounter with Arakawa, and sheds light on his representative works, including his classic series of artworks, Mechanism of Meaning, which served as the foundation for the procedural architecture projects they later created together. The film also shows visitors navigating in, reacting to, and being transformed by the peculiarities and wonders of the space of Bioscleave House.